The Light that you ARE is increasing in every moment. You are expanding in consciousness every moment. Your vibration is increasing every moment. Through tears of joy, as you celebrate, more and more of the Divine You. Your Presence. Your Divinity. Your God Self. Through your love. A Love that is so pure, it is eternal. And only knows itself as LOVE. Even those moments where you feel you have lost the conscious connection, you are increasing in frequency vibration. Those moments that you feel separated are moments where you have focused on the external... looking to the external for your love, for your appreciation, for the acknowledgment you desire. You simply forgot, to look to the Source of YOU - the Source of Love within you. You will see HOW All Moments have been perfect and Glorious. You will SEE them through the eyes of Light. Eyes of Glory. Your Heart aflame with Love. The Magnificent magical Light, that not only light the way. But LIGHTS your Heart so Brightly that it shines throughout eternity. Glimmering here, yet glowing FOREVER. When you look upon your many lives, through this magical VIEW of the Glorious reality, as it is, you will KNOW that you were always loved. Always acknowledged, always, LIVING in the true Dream. The true dream of YOU. For in your HEART is the magical kingdom of Love that opens and unlocks any sealed door. That opens you to more of the true YOU. This magical YOU with the freedom to enter all areas of this magnificent love, is always present. Within you, within your heart - is all the fulfillment you have ever desired. It is the SOURCE of Love, within you. With your intention - your thoughts and feelings may merge fully with this love as you Divinely enter into the momentous awakening of the Glory of you. This Love and Beauty is Glorious. To behold you, is to be fulfilled. To behold the true you. That does not exist in time. The YOU that is eternal, that is also here in what appears as time. The unfolding of this Profound LOVE and awakening to the TRUE You is magical beyond your wildest dreams. The Bliss and ecstasy so profound. The GLORY so much more than can now be imagined. And yet, NOW you are Here. You are present. Even if you are unaware. You will always be YOU. The Beautiful GLORIOUS you. The Celebration, the Glory, awaits you fully, as your perfect fulfillment. In all ways. In this Glorious Light that is so PERFECT, as it unfolds, through you. Now, feel and receive, MORE and MORE of this UNION within you. ALL now, Beloved Angels. In perfect Divine LOVE which is the endless stream of LIGHT. Of ALL That is. NOW. I love you! Video - "The New Divine Humanity Healing Frequency Transmissions"
Video - "The Healing Chambers of The Archangels Are Here For You Now!" The opening and anchoring of the fifth-dimensional heart allowed the energies of truth and integrity to shine forth. This marked the start of the New Age. Old ways are now being replaced by a unified society filled with heart-based individuals. The navel chakra that was once fully active in Atlantis shines brightly once again, providing a full spectrum of dimensional connection between souls. For example, human beings on Earth are now able to connect to other members of their soul group, even if they are on other side of the universe. Previously time, space and distance were viewed as obstacles that could not be overcome. The fifth dimensional Golden Age will rapidly teach the maters of Earth how to be masters again, harnessing the energies of the cosmos to bring light and love to the planet. Every Master who has incarnated holds a vital key to the process. Each brings in a unique spectrum of gifts and talents that harmonizes with the light of the others in their soul group. 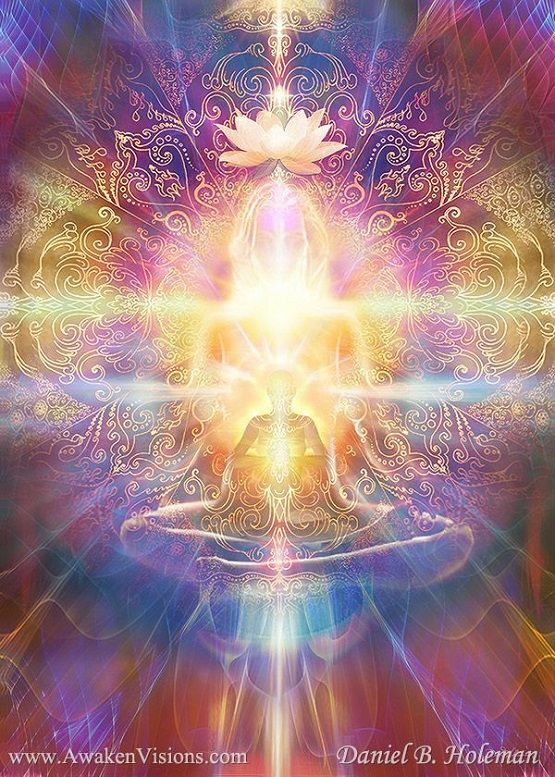 This creates a vast and powerful unit of masters dedicated to the highest light. Soul groups start drawing together and unifying as soon as key member of the team are awake. Masters from Atlantis, Lemuria, Egypt and all other evolved civilizations are now remembering who they were and with whom they were connected in previous lives. The connections are incredibly powerful. The balancing of the masculine and feminine energies has created change within many individuals and social structures. Because more souls are functioning from the heart, the new fifth dimensional paradigm of love, co-operation and caring is becoming established. You Would Not have the Desire Without the Means to Fulfill it. Your Soul knows that certain desires are necessary for you to fulfill in order to accomplish your learning in this lifetime on Earth. These are not the desires that are stimulated by mass marketing. These desires are the ones that are often buried deep in the heart and are so precious that you may have to give yourself permission to even think about them. Sometimes it is necessary to expand and stretch into the idea that all things are possible. It's important that we not to allow ourselves to rule anything out when first a creative thought pops into our awareness. That may be only the beginning of a dream or a desire that we truly need to entertain for our life to have meaning and purpose. The dreams that keep coming into my awareness are the ones that I now know I need to pay attention to because my Soul keeps prompting me and the desire won't go away. We live in a world of pure potential where we create changes and new life abounds through the focus of our attention. As spirituality and quantum physics come together, the power of this truth has been proven through years of scientific experiments. In this new and powerful time of awakening, it feels important that we bring the dreams of our hearts into reality by focusing our intentions on what will most empower us, what gives us passion and brings delight and meaning into our lives. Is it a risk? Always, but to me it is more of a risk to not follow the intelligence of my heart and the desires of my Soul. Thank you for the inspiration from my Soul coming in the form of the potent desires of my heart. May I have the discernment to know when a desire is important to focus on and in alignment with my Soul’s highest reality. May I have the Faith to follow through when I am being inspired by my Highest Self and focus my attention on the desire that seems to not go away. May I have the Fortitude necessary to persevere in respecting the deepest dreams of my heart. May I remember to give thanks in advance for the Creative Solutions arising that allow me to accomplish my dreams in beautiful ways. And may I learn to receive in a whole new way that allows me to be a clear channel for the Benevolent Outcomes available to me from the Divine Source. Thank you God, and So It Manifests! All things in life are a part of the Universal Consciousness. This includes the desires of your heart. You have within you all that it takes to fulfill these desires and create the life you want to have. Know that each time you feel a deep longing, the seed of fulfillment is inherent within it. There is a deep re-awakening within you, showing you a potential for all that you desire. This re-awakening results from your connection to God and the remembrance of the Angels who are guiding you always. As you commune more and more with this energy, your life will begin to take on the magical qualities you desire. It begins with letting go. When you know in your heart that all your needs will be abundantly met, you can release the part of you that wants acquisition. You will now be free to discover the true desires in your heart. True desires have qualities that are fulfilled when the desires have been manifested. If the desire is for money, there is a quality that your heart seeks to have fulfilled — a sense of safety, an abundant lifestyle, or perhaps, simply freedom from worry. Becoming aware of these qualities allows you to take action to gain these first, which will then allow the material form to manifest in a form which is in your highest good. The first step after discovering the qualities you seek, is always to ask for what you want, making sure you clearly state the qualities you are seeking to have. The Angelic Dimensions stand ready to assist you in the process of gaining all you desire in your life. Clarity is key. It is truly God's Plan to have all beings live in a state of abundant joy and freedom from fears: people living with peace, harmony and love in the world as well as within their families. These qualities are not too much to ask for in your prayers because they are the natural state of balance in God's world. Your prayers you offer in order to attain them opens your mind and heart to fulfillment in your personal life. It is also vital to be in the company of like-minded souls who believe that miracles are not only possible, they are also willing to have them manifest in their own lives. It is clear that in some situations in the world, only a miracle of divine proportions can create a solution. With enough people believing miracles are possible, there is no doubt that creative solutions, which are beyond the mind's ability to understand at this time, will occur. Begin now to allow miracles to manifest in your world. Be the first one to ask for Divine Intervention, and to share your belief with others, so that all may live in a new level of conscious awareness and abundant joy. Those desires in your heart are there to remind you that miracles happen, and God provides you the ways to have all the good you desire in your life. Know that you are blessed and profoundly loved.